Today, LG Watch Style W270 and LG Watch Sport W280A images leaked online. LG will officially announce it’s Smartwatches on February 9. The new LG smartwatches will come with Google Android Wear 2.0 OS. becomes official. Currently, Google is not manufacturing its own devices with the Android Wear 2.0 OS, however, it is giving the rights to its partners. Leakster Evan Blass tweeted the latest renders of LG Watch Sport W280A and LG Watch Style W270. The smartwatch will have a rotating crown/power button with additional two other buttons. 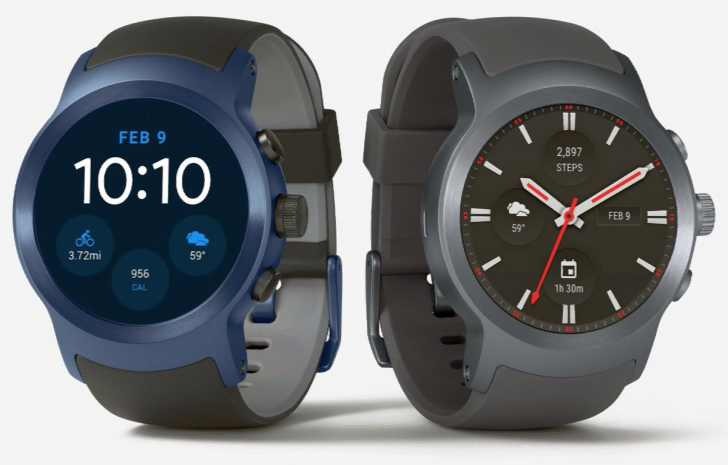 Finally, both LG Watch Sport W280A and LG Watch Style W270 models are expected to feature GPS, LTE, NFC for Android Pay, and Google Assistant. The screen is 1.38” in diagonal with 480×480 pixel resolution. The watch will come with 768 MB of RAM, 4GB storage, 430 mAh battery and IP68 certification.